Learn how to create and customize macros to reduce errors and automate everyday tasks. These days, it seems there's more to do and less time in which to do it, so it's important to find ways to streamline tasks and take every opportunity for efficiency in the daily grind. Yet, with so much information on your hands, it can be painstaking and time-consuming to sift through data and manipulate it to present exactly what you're looking for. Do you often use Excel, but wonder if you could be working smarter? Do you wish you could find a way to increase your accuracy in data manipulation and get it all done faster? Macros are one of Microsoft Excel's most powerful, yet most underused, tools. Many users are familiar with the term but have never learned how to take advantage of all macros have to offer. They might sound complicated, but once you learn to harness the full power of these essential tools, you'll be working smarter and faster than ever before! 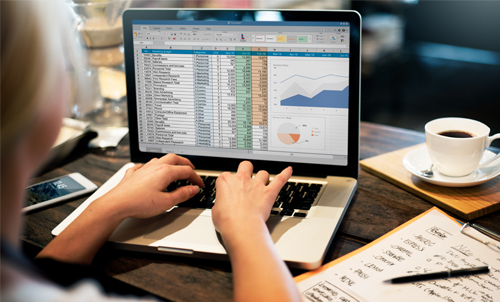 Don't waste another minute plodding through data, clicking over and over to create reports and manipulate figures for simpler analysis … put Microsoft Excel to work for you and learn Excel Macros! You prepare a weekly report for your manager. Each time you create it, you pull data from your computer system and export it to an Excel spreadsheet. You move rows and columns around, deleting some information to meet your manager's analysis needs. Then, you make various format changes to headings, pages, subtotaling data and more before saving and printing the document. Now, what if you could create ONE macro ONE time to perform all those tasks whenever you need the information readily available? You can! What used to take you numerous keystrokes and a great deal of time can be done with a single macro in minutes! You can quickly and easily ensure your report is accurate and on-time regardless of when it's due … and you can spend the time you've saved working on other projects and priorities. Apply the power of macros to several of your routine tasks and you'll be saving hours each week! In just one hour of Excel Macro training, you'll discover how easy macros can be … and just how simple it truly is to reduce errors, automate tedious tasks and get more done in less time than you thought possible! This Microsoft Excel Macros Made Easy workshop, brought to you by the creators of the award-winning "Unlocking the Secrets" series, will help you reveal all macros have to offer! This powerful one-hour webinar is an investment in your personal productivity as well as your company's resources. You'll immediately be able to use your newfound knowledge and apply it to various projects. You will work faster, your data will be cleaner and more accessible and you'll "wow" your boss by pulling together high-impact reports with ease, accuracy and speed. Say goodbye to repetitive clicks and tedious spreadsheet formatting forever! With this class, you'll be on your way to becoming a more confident, knowledgeable Excel user — able to simplify your data analysis, solve frustrating problems and save time in the process. You and your entire team will benefit from this informative and exciting one-hour course. Attend this program and find out how to get the most from Excel by using macros to boost your productivity and make your life easier today! And achieve amazing results for yourself and your organization! 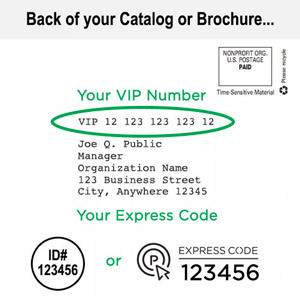 Managers, team leaders, supervisors, financial professionals, administrative specialists, marketers — anyone who uses Microsoft Excel and is looking for a way to add hours back into each day!